Do you consider yourself a writer? Maybe you have a brilliant idea for a book and you've been jotting down notes on Post-Its and hiding them from family members for fear they'll laugh at you. Or you secretly write poems, scribbling them on napkins and jamming them in your bag, hoping they won't fly out when you're on a date. You're not a writer, after all, because you didn't get a degree in creative writing or you've never published anything, right? And if you attended a cocktail party and told anyone you're a writer, would they ask you what you're working on, or would they ask what's your day job? In Iceland, if you asked a crowd of citizens "Who's a writer?" or "Who's a poet?" you could expect a dozens and dozens of hands to go up. In this wild, wonderful country, most everyone wants to be a writer. Iceland also has more writers per capita than any other country in the world. What better way to become inspired (as a writer) than attending a writers retreat, not a pretentious one where you feel stifled because of the competition, but a warm, welcoming, inclusive one. I just published an article for the Huffington Post on Iceland's vast literary tradition that goes back to its founding, and the most inspiring of writers retreats: the Iceland Writers Retreat held in Reykjavik. This is the writers retreat for you because, even if no one has ever seen what you've penned, you are a writer. Fascinating. We plan to visit Iceland at some point, but I didn't know it had such a reputation for writers. 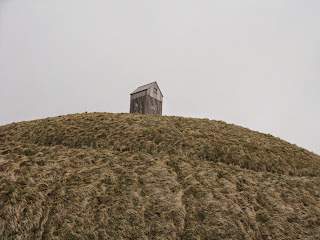 I had no idea of Iceland's literary richness - what a wonderful place for travel, much less a writer's retreat. Wow. I'd love to do this. Thanks for sharing. Would love to attend a writers' retreat in Iceland! Iceland is high on my list -- and this latest info nails it. Who wouldn't want to visit a country where you might be respected? Iceland sounds like the perfect place for a writer's retreat - quiet and serene. Hi Brette, If you end up planning a trip to Iceland, don't hesitate to ask me for advice. Hi Sheryl, I'd been visiting iceland for years and didn't really explore its literary heritage until now. and welcoming country in so many ways and especially concerning writing. Hi Alexandra, I'm hoping to maybe attend again next year. It was such a gem of a retreat. Hi Ruth. I totally agree. Whenever I hear about someone who visited Iceland and didn't like it, I'm shocked. What's not to love? Hi Jane Louise, Well, Reykjavik certainly has its serene side, though not necessarily downtown on Friday or Saturday late nights.